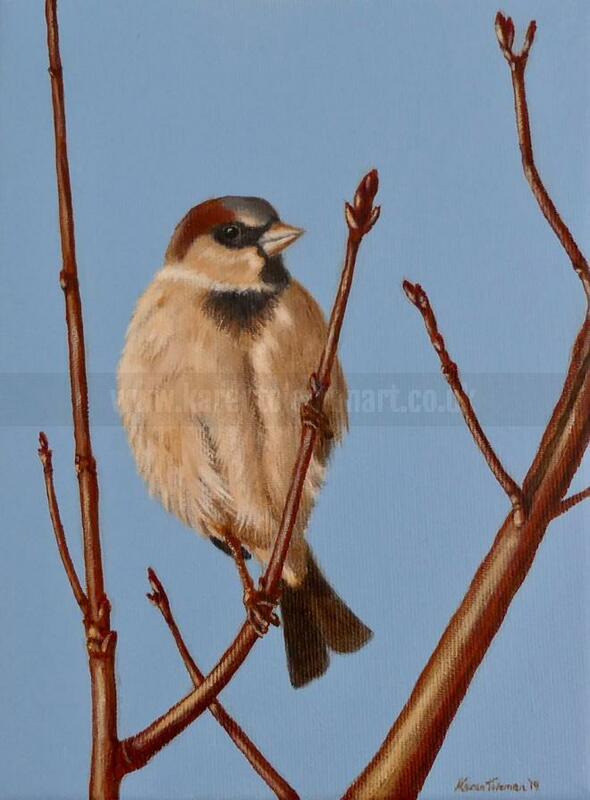 These little house sparrows look quite grey by day but take on a soft glow in the late afternoon sun. This is a diptych, see Sparrows 2 for the other painting. The price quoted is for the pair of paintings.